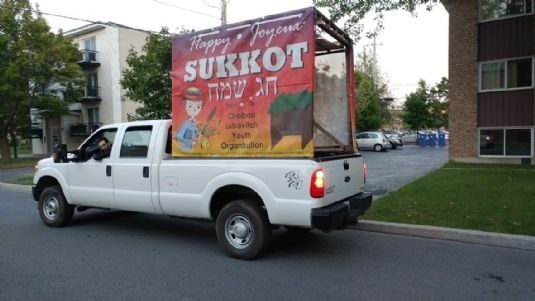 Did you see the Sukkah mobile driving around the South Shore. Oh what is a Sukkah mobile? A Sukkah mobile is a pickup truck with a Sukkah in the back. Instead of going to find a Sukkah, the Sukkah comes and finds you. During Sukkot, Rabbi Zalman and his children went around to different peoples homes to bring them the joy of the holiday. There was food and drinks to make the bracha in the Sukkah. There was also the Lulav and Esrog, four species used on Sukkot so people can do the mitsvah. The joy and unity felt was seen on the peoples faces. 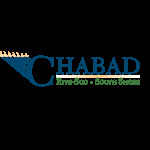 This was the conclusion to the month of Tishrei, which was full of celebrations at Chabad South Shore and a just the beginning to many more! Comments on: The Sukkah that comes to you! Once more, I find lots of exciting persons and subject areas to discuss listed here. When you even now have some concerns left - be happy to write me.